We also took a moment during service to bless the Healing Rides bike, as they prepare for their 2019 riding season. Each month, we carefully choose to support a local agency or non-profit business with our JUST ONE Collection who is making a difference in our community by providing services to those in need. This month, our February JUST ONE Collection will be accepting donations to help fund a new bike purchase for Wesley’s own beloved ministry Healing Rides. Healing Rides is a FREE community service provided by Wesley Church and several community partners. We provide rides on the most beautiful part of The Constitution Trail through specially designed cycles, operated by highly trained volunteers. Our first bikes have survived for 4 seasons, and have served over 400 guests! With advancements in technology, we have discovered a new bike that is sturdier and will better meet the needs of our riders as well as enable us to safely traverse the many bridges on the trail. Quality bikes are key to this ministry, and while we are grateful that the purchase of our first bike has been fully covered, we need to add another to our fleet in order for our ministry to continue to grow. We currently have $3295.00 in our fund, but unfortunately a brand new bike will cost us $8389 (which leaves us in need of $5,095, and we are hoping for a bit more for repairs). Our upcoming season is from June 1 to September 30, seven days a week between 1 and 3 pm and we would LOVE to have a new bike to kick off our 2019 riding season! Donations of any size are welcome! 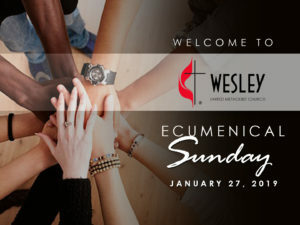 You can make a donation through the church website at www.wesley-umc.com/donations/give (please be sure to note “Healing Rides” as your ministry). You may also deliver your donation to the church office, or drop it in the offering plate on Sunday mornings (please write “Healing Rides” on the face of your envelope). For more details visit www.healingrides.com, contact Barbara Brown at 309.531.8768 or email healingrides@gmail.com. THANK YOU so much for your continued support of this beloved ministry!